We recently did the countertops in a remodel done by Tiek Built Homes. Tiek Built Homes is one our favorite contractors to work with. Steve has a lot of great ideas and does fantastic work. His specialty is a timeless, classic look and he does such a good job executing it. If you are in the market for a contractor check him out. 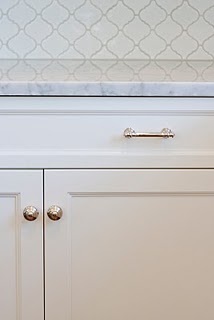 In this particular home we did Carrara marble in the Kitchen, the Bathrooms & the Fireplace Hearths. The marble is 3 cm with a Square Polished edge detail. I love the tile backsplash they selected. I'm not exactly sure where it came from, but it looks a lot like the Beveled Arabesque from Mission Stone & Tile that I love so much. My favorite part of the kitchen (besides the marble of course!) may just be that custom made striped bench at the island. 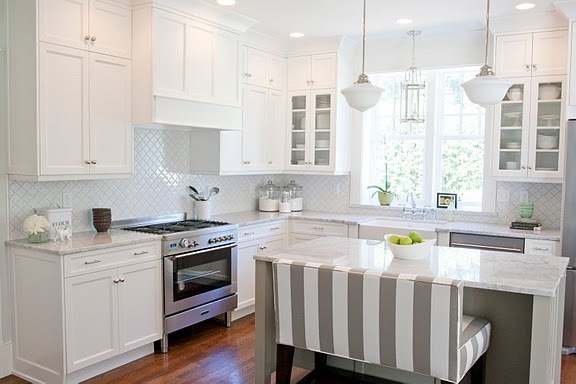 I love stripes and I think it's just perfect for this space. 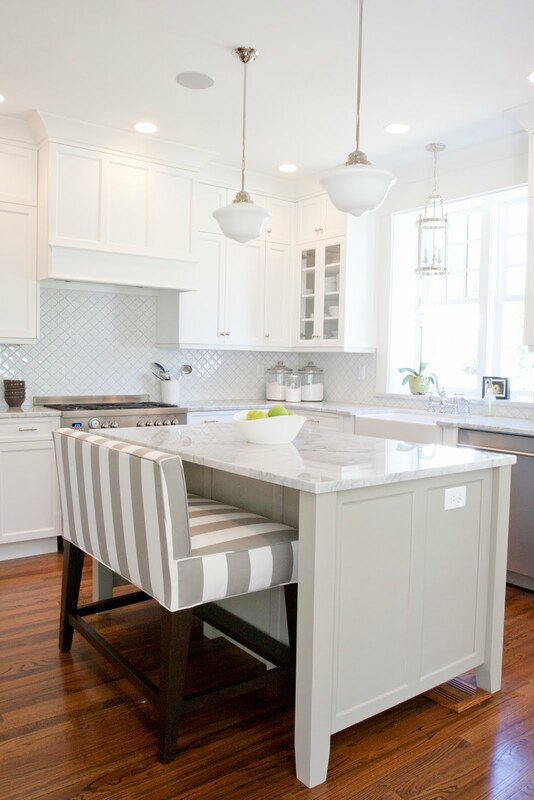 The Interior Designer on this job was Caitlin Creer, she did a beautiful job with the entire house. To see pictures of the living areas go to her blog. Also, check out Steve Tiek's blog here. Thanks Steve for letting us be a part of this beautiful home! Stay tuned for more pictures of the Bathrooms & Fireplaces. This kitchen is gorgeous. Thanks for sharing. That bench is great! 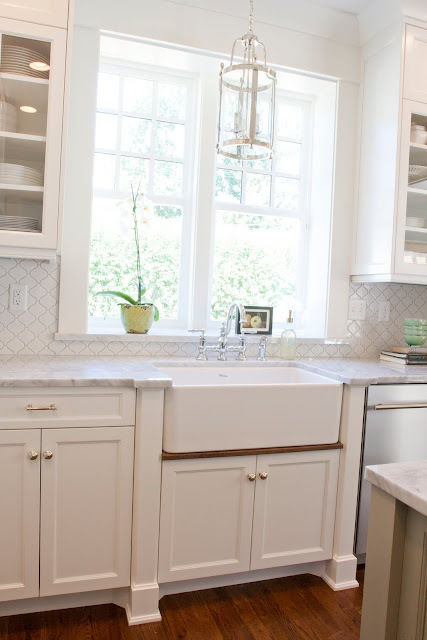 It can't beat that gorgeous white marble and back splash tile though. WOW! A bar sink tap are usually nice improvement for the looks of the sink section if you wish to accomplish a “bar look” for your kitchen.